Bringing lighting control within the scope of a building-management system offers a host of installation and operational benefits. 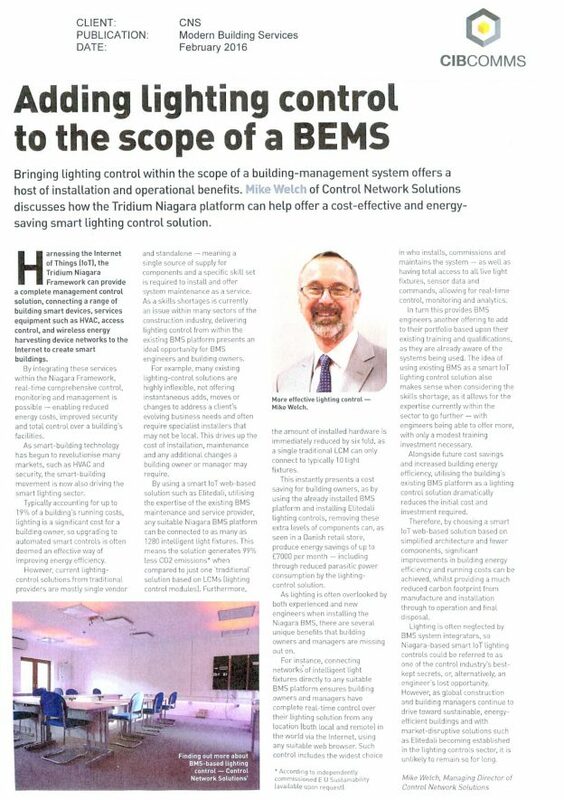 Mike Welch of Control Network Solutions discusses how the Tridium Niagara platform can help offer a cost-effective and energy-saving smart lighting control solution. Find out more here.